Another Thought for the Day in the Brexit turmoil. Interim Ministry is a strange thing – it’s seven months now since I went to St Peter’s, Lutton Place, in Edinburgh. It wasn’t an easy moment and I had some fairly difficult times at the beginning. The Annual General Meeting was particularly memorable. Interim Ministry isn’t really just about filling a space until a new appointment can be made. It uses the space as creatively as possible – partly to calm things down and partly also to provide the best possible starting point for the new ministry which will follow. That’s the John the Baptist bit – always having an eye towards the one who is coming. I have quite enjoyed undertaking a series of development initiatives at about three times the speed which one would approach the same things in a long term ministry. But there is very little at stake for the Interim Pastor. I can revert to the retirement armchair any time. But this is a sort of high speed ministry. And after seven months, I’ve probably now done most of what I can. People have responded well and have be prepared to journey with me. And I have learned a lot too. I was back in St Peter’s, Lutton Place, in Edinburgh this morning – as I am about two Sundays a month during my time as Interim Pastor. 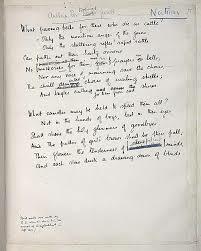 We used Wilfred Owen’s ‘Anthem for Doomed Youth’ as they did in the Festival of Remembrance in the Albert Hall last night. I am one of the most unmilitary people you could meet – but I find today always deeply moving. Posted in Uncategorized	| Comments Off on Remembering …. 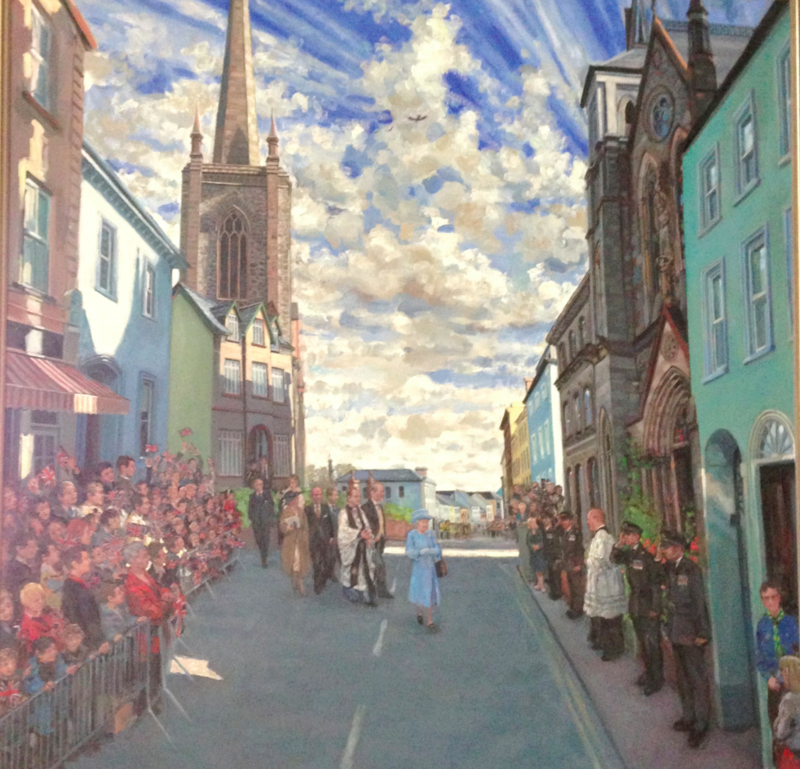 The picture – by Hector McDonnell – is of Her Majesty the Queen’s visit to Enniskillen. She comes out of the Church of Ireland Cathedral and crosses the road to the Catholic Church – a historic ‘first’. By a slight piece of artistic licence, a dove of peace hovers overhead. I preached there last Sunday morning and worked in the ‘Love God and Cross the Road’ theme. It was a remarkable day for me – meeting people whom I had known in early childhood in the ’50’s and not had contact with since. But now of course through the wonders of social media …. This is a kind of time travelling experience. 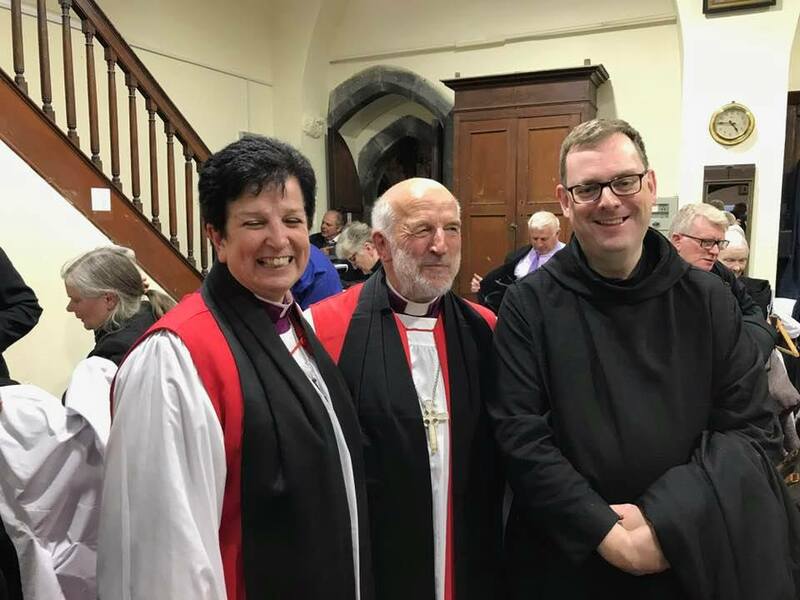 I went back to St Macartin’s Cathedral, Enniskillen, to preach at the service which commemorated the 400th Anniversary of the Charter which established the Royal Schools in Ireland – as part of the Plantation Settlement. In this case, the school was Portora Royal School, Enniskillen. I became a Choirboy in the Cathedral in about 1957 but I hadn’t really been back since 1967 when we moved to Belfast. Portora was a kind of Glenalmond, set in the beautiful lakeland scenery of Co Fermanagh. I have pretty mixed feelings about all the schools I attended. But I can’t get away from the fact that my grandfather, my father, my uncle and I were all pupils at Portora Royal School. My father and mother both taught there. But as always this is a time of change. The boarding school that Portora was is no more and a merger has just taken place with the Girls Collegiate School at the other end of town. The merger has been something of a bumpy ride but it will sort itself out in time. The picture is with Dean Kenny Hall of the Cathedral – and the sermon honours among others former pupils Samuel Beckett, Oscar Wilde and Henry Francis Lyte – whose hymns we sang yesterday.